A lone person standing in a graveyard among the whirling ashes, he's bloodied hunter. He looks like an experienced veteran, but details are unknown. and there is no such rank in the Healing Church. 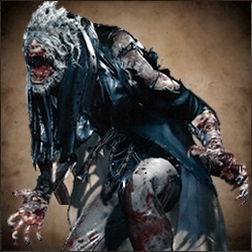 Gascoigne exhibits great strength in battle and has an imposing height, towering over the Hunter. He is dressed in a typical attire of Healing Church. Leveling up before facing Gascoigne is a very good idea: to do so, you'll need to get at least one point of Insight before returning to the Hunter's Dream. The Doll will then be available to use. If you are having trouble, increase your Vitality. Every level up will raise your defense, but raising your Vitality also increases your HP for extra survivability. You should also fully explore Central Yharnam in order to find eight Bloodstone Shards; you can use these at the workbench in the Hunter's Dream to upgrade your weapon to +2, greatly increasing your damage. If you don't have any Molotovs for Phase 3, consider buying some from the shop. Finally, make certain that you've started the Little Girl's quest and received the Tiny Music Box from her. This can be used to stun Gascoigne during the fight. Before the fight, equip your Tiny Music Box and Molotovs in your Quick Items, as well as Throwing Knives if you choose to use them. It's recommended to remove other items so that they don't get in the way during the battle. 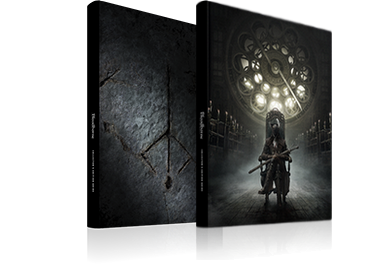 If you have done all of this and are still having trouble, you can stockpile Blood Echoes safely between the Central Yharnam Lamp and the Dog Kennels; every additional point of Vitality will help. You can also go online and use a Beckoning Bell to summon another player for help at the cost of one point of Insight. 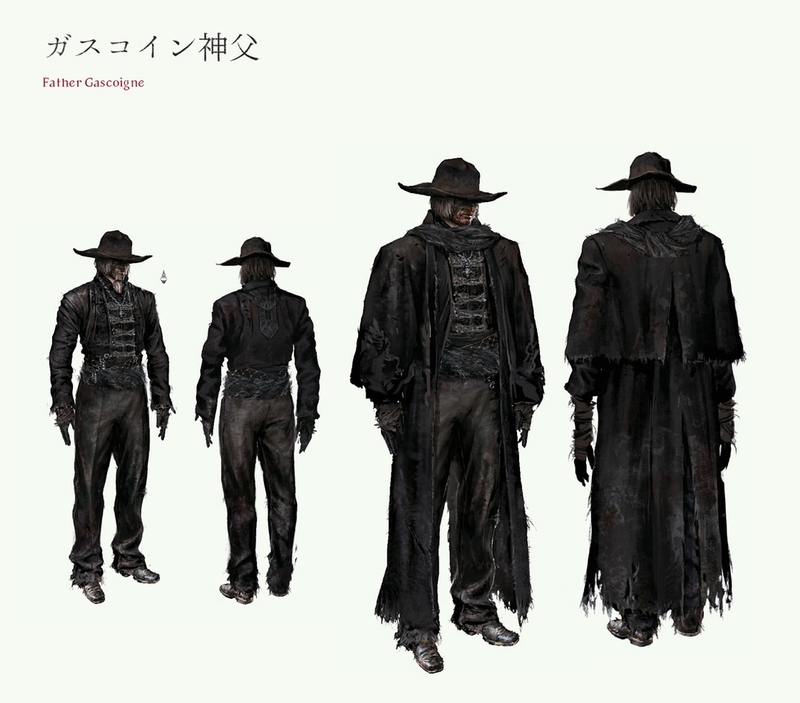 You'll face Father Gascoigne after crossing Central Yharnam's Lower Bridge. During Phase 1, he will attack you with his Hunter Axe and Hunter Blunderbuss. 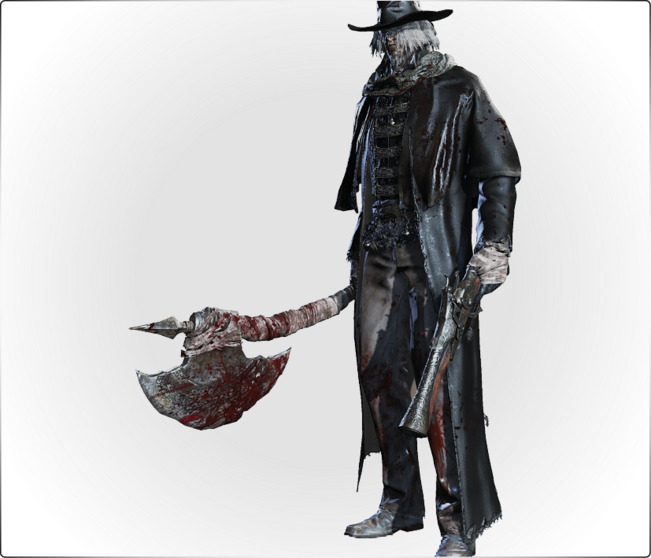 He uses the normal Hunter Axe moveset with a couple of additions, such as the Rising Shear. He will also shoot at you when you are at medium range; be warned that he will sometimes shoot you if you dodge backwards away from his melee. After losing 20% of his health, he can transform his weapon to begin Phase 2. Sometimes the timing of this transformation varies; he likes to have some space before he extends his axe. His attacks are a bit slower in this Phase, but he has a lot more range His spin slash hits twice, so be careful when dodging forward. He will start using jumping attacks to close the distance, but be warned that, unlike a player using the Hunter Axe, he can still shoot you. After losing 70% of his health, he will change into a beast, and Phase 3 begins He will become very fast and aggressive, but he gains weaknesses to both fire and saw attacks. During his first Phase, quickstepping and using charged attacks is a good idea until you're familiar with Gascoigne's attacks. Use interrupts when up close once you begin to recognize his slower attacks. When he transforms his weapon you can switch to using your Throwing Knives to move him into Phase 3 of the fight. While he's transforming, use a Molotov, then use the environment and the Music Box to slow him down while you finish him with more Molotovs. The graves and trees can get in the way of your attacks and movement, but Gascoigne can get stuck on them as well. There are also stairs that lead up to an upper terrace, a clear, open space with plenty of room for you to move, and there's a broken rail that will allow you to jump down to heal when needed. Where you choose to fight Gascoigne should be based on which aspect of the fight causes you the most trouble. If you are getting stuck on obstacles, fighting upstairs may be better for you. If his gunshots are more annoying to deal with, having the trees and graves to block them may be more valuable. Be warned that in Phase 3, Gascoigne can destroy the small graves with his attacks; the large, central monument can still be used to slow him down, however. 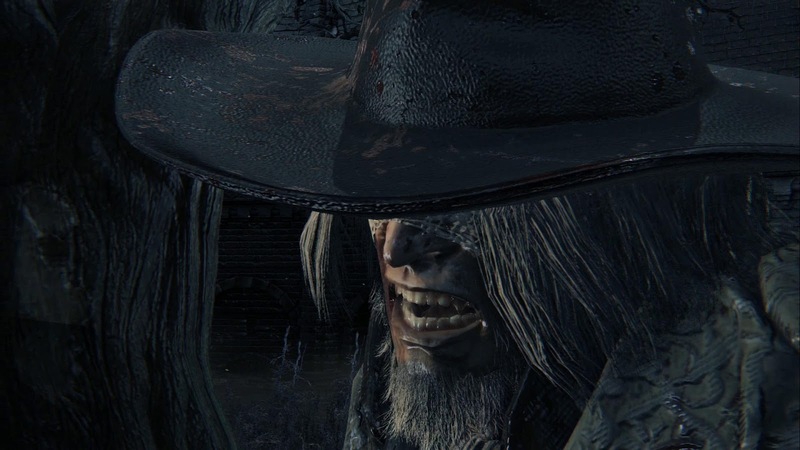 You can summon him before you initiate Father Gascoigne's boss battle, but after you start the boss battle against him, he can no longer be summoned for this fight. Summoned by the fountain past the burning effigy the townsfolk gather around. (Note: This is now the ONLY place he can be summoned from, as patch 1.09 removed the location by the Central Yharnam lamp behind the shortcut door.) He will use the Silencing Blank if you try to enter the sewer. Despite Father Gascoigne having 999 Slow Poison & Rapid Poison resistances he is still vulnerable to such status. 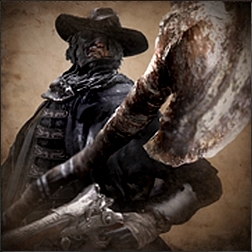 Father Gascoigne used to drop 1800 Blood Echoes in previous patches but on the currect one(1.09) the value is 3200 Blood Echoes. Use Tiny Music Box: You can use this item you got from Young Girl to stunlock Gascoigne, making him vulnerable for a moment, but beware if you use it 3 times in his human form he will immediately transform in no regards to his remaining HP. In his beast form you can use it once then he will ignore it for rest of the fight. After you defeat Father Gascoigne, a Lamp Tomb of Oedon will appear which will allow you to warp to the Hunter's Dream. During Alpha Gascoigne is found for the first time in Yharnam, at the beginning of the bridge where the Cleric Beast is fought. If the player approaches him, he will help the player against two Scourge Beasts. Scattergun Burst No Quickstep forward through it. Horizontal Chop Yes Quickstep in the opposite direction of the swing. Spark Uppercut Yes Interrupt it or quickstep sideways. Jump Attack Yes Interrupt it or quickstep forward or sideways. Charged Spin Yes Used after transforming his axe; identical to the player version of the charged R2. Quickstep backward. Phase 1 Strategy: During Phase 1, focus on quickstepping through Gascoigne's attacks and counterattacking with an R1 to L1 combo. You should dodge toward Gascoigne so that you pass through his attack and get behind him. The R1 will cause him to flinch, and the L1 will cause him to stumble. After the L1, be ready to roll toward him again; after a slight pause, he will either attack you again or quickstep and shoot his gun. Roll through his attack or his bullets and attack him again, but don't bother trying to continue the combo after the first L1; sometimes you can, but he will often quickstep back and shoot you out of it. If he hits you once or twice, back off and heal. If you stay in the lower area, try to position a tree or large tombstone between you and Gascoigne; if on the upper level, drop down on the small roof to heal, then drop down to the ground and head back upstairs. When attacking, stay close so that he doesn't shoot often. When healing, make sure you have cover to block bullets. The one attack to watch out for is his Rising Shear; it's slightly slower than his normal attack, so you need to dodge forward a little bit later. An alternate strategy for this Phase is to shoot him during his attacks for an interrupt. When he staggers after the interrupt, you can use a Visceral Attack to deal a lot of damage quickly. If you are confident in your timing, this is an easy way to win. Phase 2 Strategy: Phase 2 is largely the same as Phase 1. You can fight him in the same way, but there are a couple of new attacks to watch out for. His Jumping Attack is used from long range and hits hard, so either stay close or be ready to dodge it His Spin Attack hits twice in the area around him, so you need to dodge either backward out of its range, or forward, through the attack. Once again, gunshot interrupts are a viable alternate strategy; just remember that the timing will be slightly later since he is holding the two-handed version of the axe. You can also back off a bit and use Throwing Knives if you like, since shoots less often during this Phase. The downside to this tactic is that it puts you in the range from which he likes to use his Jumping Attack. If you keep space behind you to dodge backwards, this can be ok; consider fighting upstairs if you want to use this method. Aerial Dive No Leaps high into the air, hovers momentarily and dives at player's current current location; roll towards him. Downward Slam Yes Raises arms slowly and slams the ground; strafe backward and interrupt it or quickstep forward past him. Claw Combo Yes Fast hits with heavy forward momentum. Quickstep forward or sideways and strafe behind him. Howl No Not an offensive move; mainly an opportunity for player to get in a few free hits or oil him. Phase 3 Strategy: Phase 3 will begin with his transformation. Use your Tiny Music Box just as the transformation ends - he will stumble before finally roaring and shaking himself free from the stun. While he is stunned quickly use your Molotovs, making sure you're locked on and not too far away. Two Molotovs will greatly weaken him; if you manage to land three, he will be nearly dead. To finish Gascoigne off, there are three main strategies: running away and using items, dodging through his attacks and striking him from behind, and using gunshot interrupts. If you choose to run away and use Molotovs and Throwing Knives, try to use the large central monument to slow him down, and only throw an item while he's recovering from a missed attack. Option two is to stay close; as in Phase 2, if he lands his Downward Slam, be prepared to dodge past him instead of away. This will position you well, and also prevent him punishing your escape with a Jump Attack. Additionally, try baiting Gascoigne to do his Claw Combo and immediately circling around to your right to reach his back. You are safe behind him once he initiates the combo, which provides you plenty of time to heal or get damage in. If you have a quick weapon, you can easily land a charged R2 attack with this strategy followed by a Visceral Attack for major damage. The final strategy is by far the most risky; Gascoigne can be interrupted using gunshots in this Phase, but he is so fast and aggressive that one miss can end your life. This method is stylish, but not for the faint of heart. If you do get hit, remember the monument or the drop to the roof as ways to buy time and heal. The sweet blood, oh, it sings to me. Too proud to show your true face, eh? But a sporting hunt, it was!